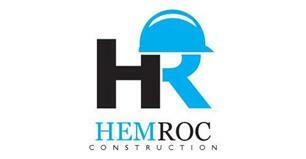 Hemroc Maintenance, Plumbing & Heating - Builder, Plasterer, Plumber based in Leamington Spa, Warwickshire. Hemroc Maintenance, Plumbing & Heating is a family run business which has been operating since 1995. With over 60 years combined experience in the building trade. We carry out a wide variety of works including building, plumbing and heating, gas works, electrics, maintenance and much more. We only use qualified tradesmen and cover all trades. The majority of our work is based in and around Warwick, Leamington Spa, Kenilworth and the surrounding areas. We are recognised by our regular customers for quality workmanship, sound professional advice and tidy work. Our knowledge of the building, construction and maintenance industry is both comprehensive and extensive.